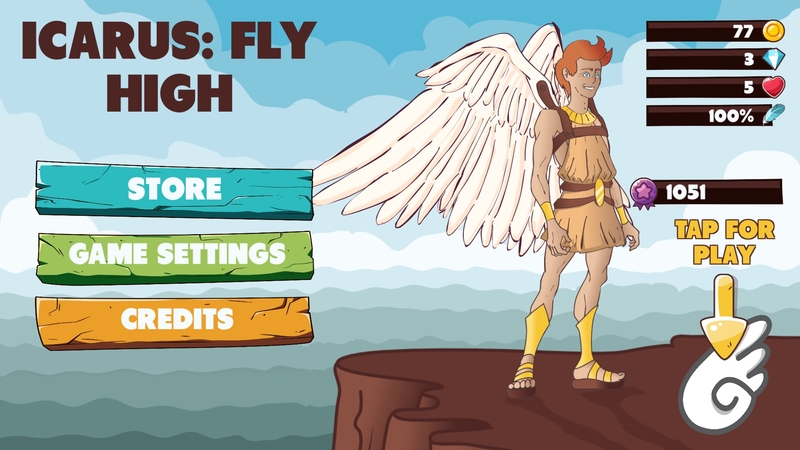 Icarus: Fly High is an exciting adventure that will dip you into the atmosphere of ancient Greek myths. 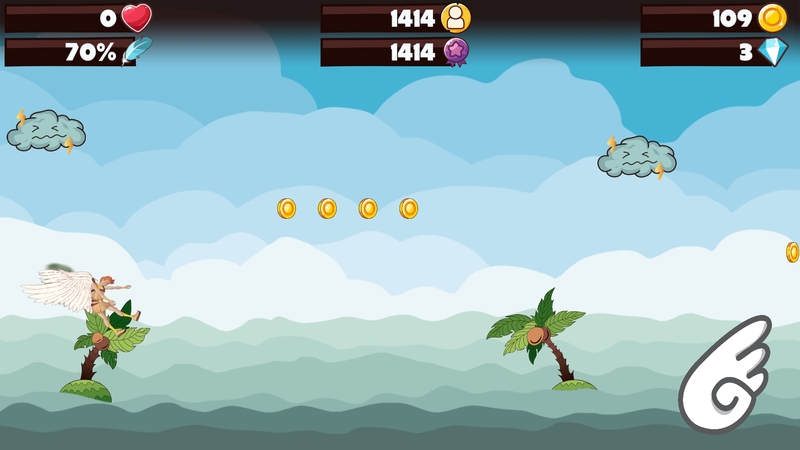 Control the famous character and help him make a perilous flight from the island of Crete. You will face many pitfalls on your way. Icarus can’t fly too high, because the sun will melt his wax, and he will lose his feathers and fall into the sea. But he can’t fly too low either, because his feathers will be wet then, and he can’t gain height again. Icarus should also beware of clouds, birds flying towards him, fish striking from the sea, ships passing by and even islands with tall palms — he can get stuck in the trees and fall down! 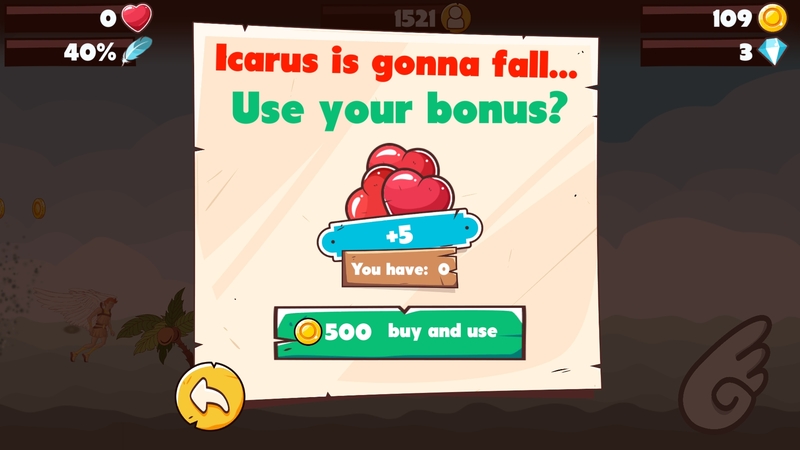 Collect coins and diamonds on your way to use to improve Icarus’s strength and energy. Don’t miss hearts either. With them Icarus gets more lives and feathers that help him get higher with every beat of his wings. 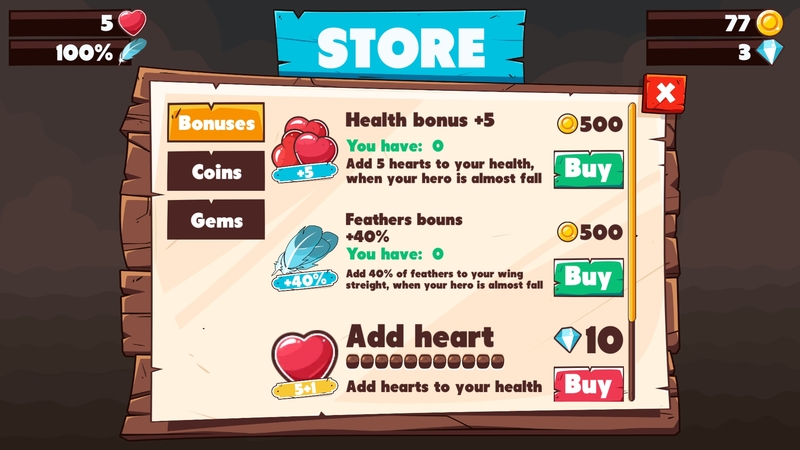 Temporary bonuses increase the number of feathers and improve health. Icarus is very easy to control. 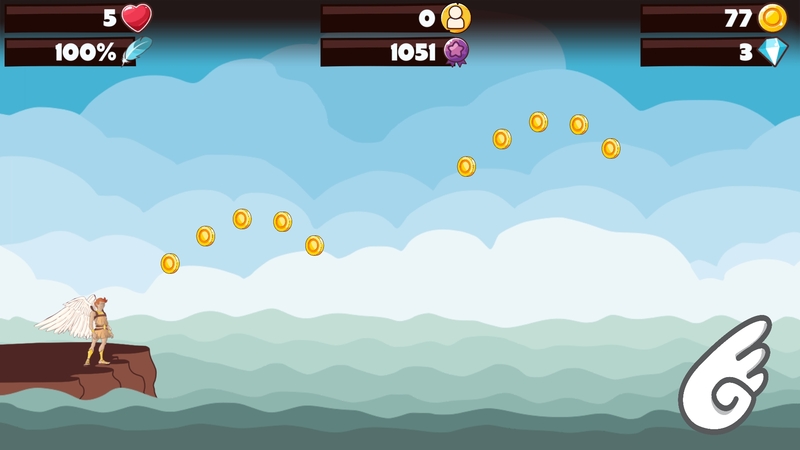 By touching the wing icon, you make Icarus beat his wings and get higher. Icarus gets lower if you stop touching the icon. Be careful, don’t let Icarus fly right over the water, or his wings will get wet, and every beat of his wings will raise him less and less. You can go up and down to overcome obstacles. 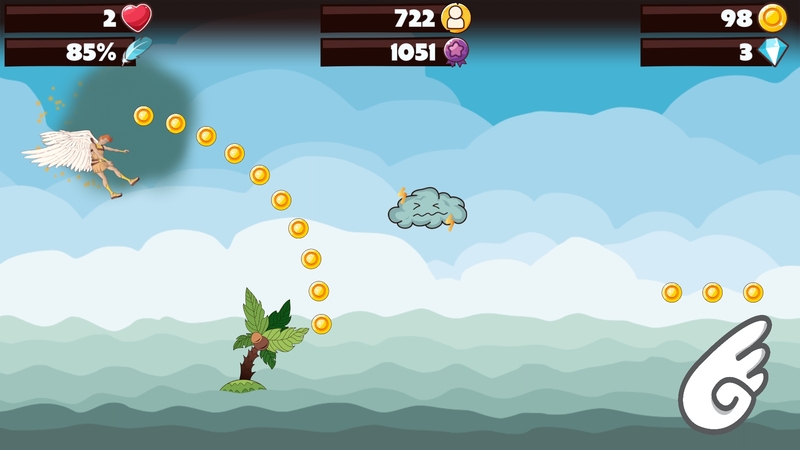 Icarus loses one health unit every time he bumps into a cloud, a bird, a fish, or a palm. The longer Icarus is in the air, the more points you win. Improve your high score and get prizes. 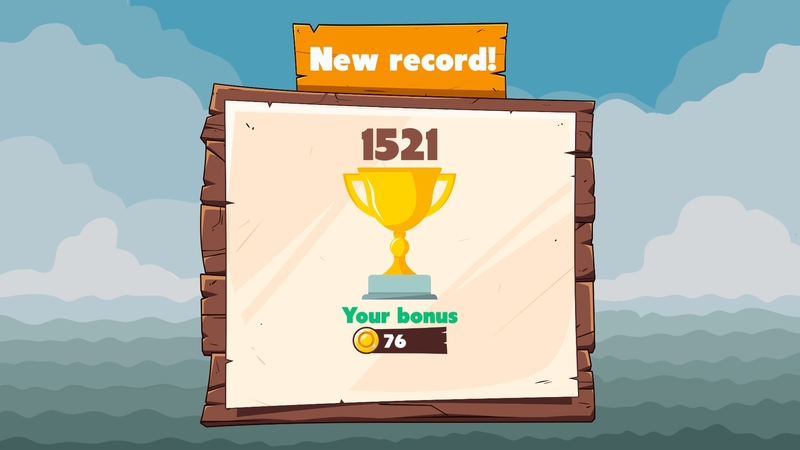 Compare your achievements with your friends’ scores. The game is over when Icarus loses all his health or feathers. However, you can keep him flying longer if you use your bonuses or diamonds to restore his feathers.